Whilst I was really impressed with the Violet Boxes I had received, I decided about two months ago to cancel my subscription. It was nothing against Violet Box, I was just trying to cut down on my monthly expenditure and it was $22.95 I could save a month. I received an email recently offering me $10.00 off the next month if I re-subscribed. I naturally couldn't resist, the last few boxes have looked great and the October box is no exception! The first thing I noticed about this months Violet Box is the size of the actual box, it is smaller. The size is now more similar to that of Bella Box, it is still higher but the width and length is pretty much the same. I like the smaller size, the box will be easier to store. If I decide to keep it (which I do). I was really excited to see a full size make up product straight up. Sadly I received this mineral foundation in the shade Almond which is too dark and warm toned for my skin. I wish beauty boxes wouldn't send out products like foundation. One shade does not suit all! This is a useless product for me which is really disappointing. The face mask I received is the revitalising mask with orange. I have never tried this brand before (but have heard of them). I look forward to trying this and two applications means there is more than one chance to try it out. Another full sized make up product! I received this in the shade Rapture which is a lovely glossy red. Just swatching on my hand reveals a nicely pigmented gloss with a peppermint scent. Considering the rest of the box, skincare seems quite boring. This is an intensive night cream for dry skin. I would have loved this a couple of weeks ago before I updated my skincare. This will be put away in my skincare samples stash for now. Another full size make up product! 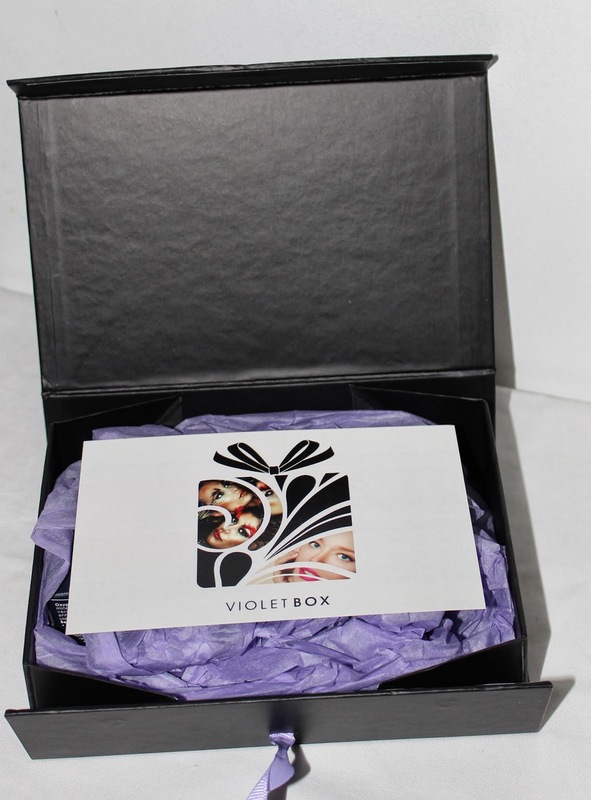 Violet Box is the first company to bring Be a Bombshell to Australia which is exciting! I received the shade Money Money which is a metallic khaki brown. It is a gorgeous shade and appears to have a nice and smooth texture. I am really pleased with Violet Box this month. I would have been ecstatic if the foundation shade had have suited my skin. Three full sized make up product is freakin' amazing on Violet Box's part! I have said numerous times before and will again - I am in these boxes for the make up. This box also had a value of over $100.00 which is even more awesome considering I paid only $12.95. Well done to Violet Box on the October box, just next time please reconsider the foundation or ask us for our shade. Otherwise a fantastic box! Great value and great products. Are you subscribed to Violet Box? Thoughts on the October box? The foundation is too dark for my skin as well which is a shame! I really love the red lip gloss you received, I got a clear glittery one in my box! That's excellent value! That lip gloss looks pretty amazing. The colour is fantastic, quite opaque and the minty smell is a change from a floral scent.